In this article, we have taken up a rather ambitious goal, as the term “entertainment” covers quite a number of different industries – music, movies, live shows, games – and all of them can benefit from using augmented reality. Nevertheless, we will try to show how augmented reality can be used in various entertainment industries and which new dimensions it opens. 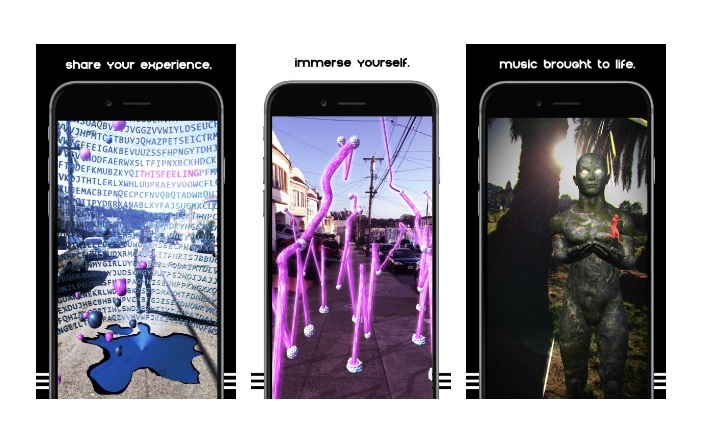 Why is an augmented reality (AR) so great for entertainment? Because it is entertaining in itself. Kids and adults alike are unfailingly fascinated by virtual images appearing over the real world. If an entertaining event is enhanced with augmented reality effects, the sum is definitely going to be greater than its parts. The most common implementation of augmented reality is a mobile application where virtual objects appear over the image in the device camera. Many products in many industries use this feature – from SnapChat adding horns or dog ears to people’s faces to Google Translator overlaying any text that is caught on the screen with its translation. However, lately augmented reality apps have been getting more complex with some products already requiring special hardware. Check, for example, Microsoft Hololens with its range of applications viewable through a headset developed for that purpose. Of course, with an AR headset, the users get a much more immersive experience than with looking through their smartphone camera. However, the cost of augmented reality development requiring additional hardware is, of course, much higher. All these soft- and hardware innovations are finding their use in the entertainment industry, as well. This sector is exploring the potential of augmented reality to the max – let’s see what it has to offer. We started our research with the games for a reason. 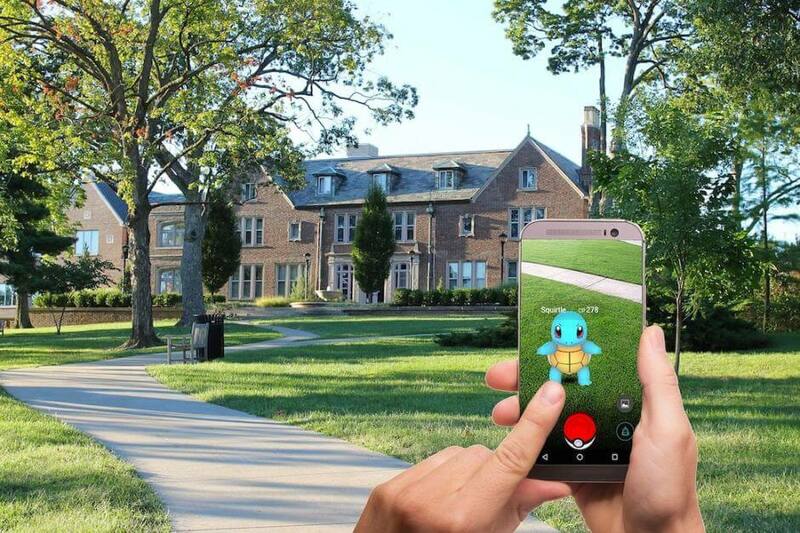 We bet that the first thing that comes to mind when augmented reality is mentioned is an AR game Pokémon GO. Even those indifferent to computer games must have heard about this global craze. Young and old alike went about catching the weird creatures to complete their collections. The AR game was praised for increasing physical activity in people – you actually have to move around to find your Pokémon. At the same time, there are complaints that players could cause various incidents and accidents being too engrossed in the game. In any case, Pokémon GO has rightfully earned its popularity and opened the world of AR games to us. The success of Pokémon GO encouraged game developers all over the globe, and dozens of AR games appeared. You have quests, such as Temple Treasure Hunt, shooters, such as Real Strike, and horror games, such as Zombie Go. 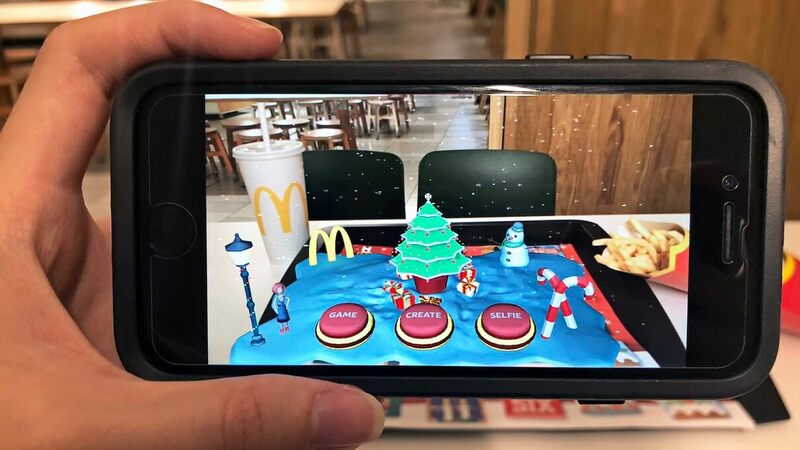 In most of the augmented reality games, the gameplay occurs in the real world with virtual objects and characters triggered by geolocation or special markers, like QR codes. In some AR games, for example, in Temple Treasure Hunt, players can create the quest routes of their own, which can become a scenario for a team-building event, a party or even a way of brightening up the usual everyday commute to work. 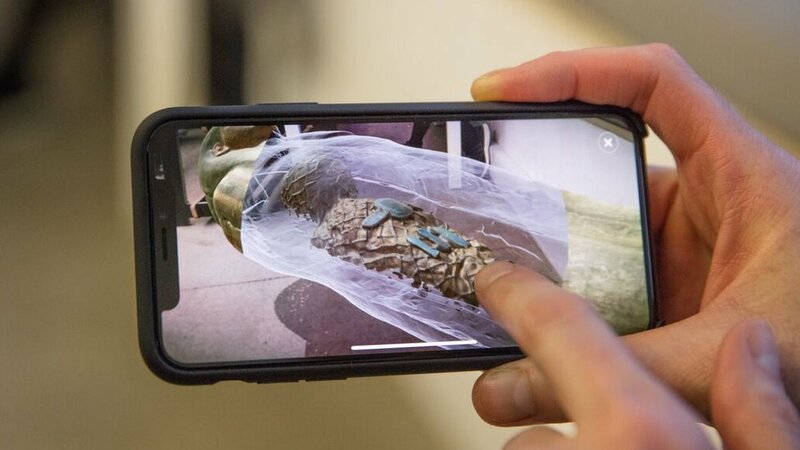 Recently, however, augmented reality game development is reaching out to new horizons by turning the AR concept inside out – placing real objects in a virtual world. Air Hogs, a US-based producer of remote-control toys, released an augmented reality drone game – Air Hogs Connect. The drone itself is the only physical object in the game. The whole gameplay unfolds in a virtual universe where you guide your drone to fulfill various missions. The game kit includes a drone, a mat full of AR markers and an application to be run on a smartphone or tablet. The making of the recording or the music video. Augmented reality can do all that and much more providing complete information on the track or its performer. 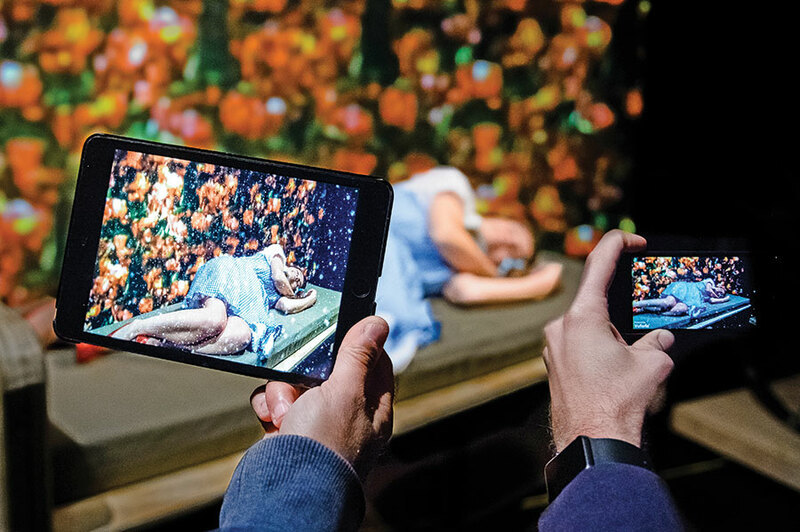 Augmented reality can enhance live performances by illustrating the story told by a track or displaying the way it was created by the band. By including augmented reality markers in the art on the vinyl sleeves (vinyl is making a huge comeback now, didn’t you know? ), authors can provide all sorts of additional information, from lyrics to the making of the album. At the same time, augmented reality effects in a live music show create an experience that visitors will not forget. Coachella, an annual music festival held in California, has been experimenting with augmented reality for a couple of years already. In 2017, the organizers sent “welcome boxes” to everyone who purchased a ticket. Together with a downloadable application, the box sprung into a 3D scene showing the festival grounds and various attractions. 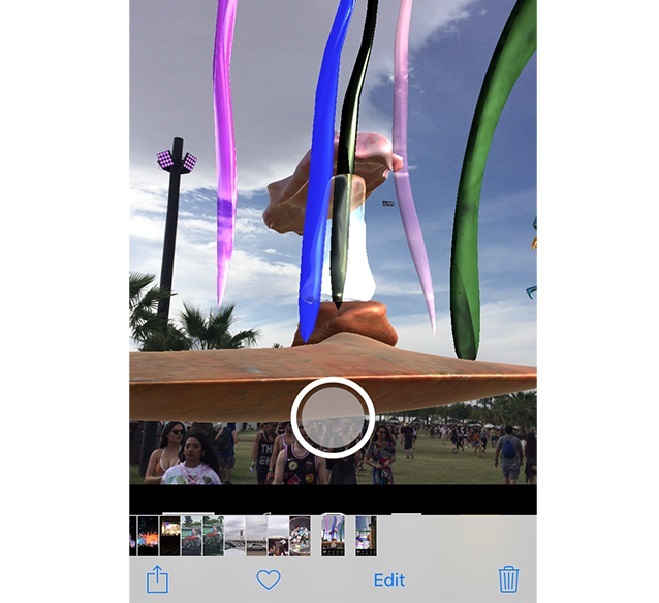 In 2018, Coachella featured an AR sculpture created by artist Katie Stout. The sculpture viewable through the smartphone camera created the impression of being on the sea bottom. The festival already tightly packed with special effects and visual installations received an additional attraction that made it “the one and only”. Augmented reality can turn listening to music into an unusual activity. Watch the virtual objects appearing on your screen in tune to the track you are playing or telling the story. This experience is available with the Wavy Music AR app that is currently offered for iOS devices. This may seem a bit far-fetched, as television already shows a virtual world, thus adding augmented reality will raise it to the second power. However, some experiments of fusing augmented reality on TV are already being made with the promise of future enhancements. One way of integrating augmented reality in television is adding supplementary information to what is going on on the TV screen – such as match scores, betting options, and the like. While it seems great from the information point of view, the convenience still leaves much to be desired – not many of us would fancy watching TV holding a tablet in front of it all the time. However, with AR headsets the idea can eventually get a new life. Another example of augmented reality enhancing a TV show is the Civilizations app by BBC dedicated to the popularization of the world art and history. 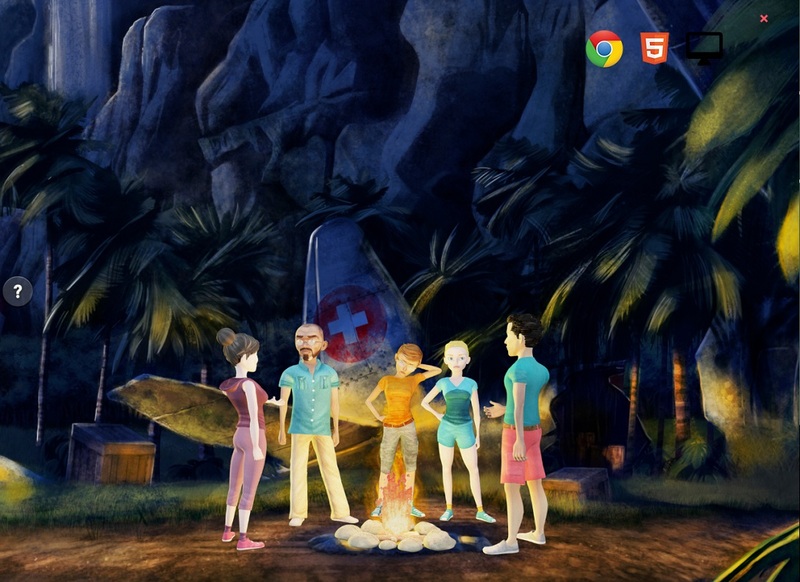 Although the application works independently of the TV series of the same name, it adds to it greatly. The app creators gathered more than 280 artifacts from famous museums and galleries and turned them into 3D models. The Civilizations AR app allows exploring artifacts in exhibitions and learning their history and specific details. At the same time, there is an opinion that augmented reality is going to kill television as such, and very soon. This opinion was expressed by none other but Mark Zuckerberg at the F8 conference in 2017. Mark Zuckerberg believes that expensive TV sets are about to be replaced with $1 applications recreating any object or scene in augmented reality. And when Mr. Zuckerberg speaks, the technology world listens. Recently, the industry of eSports has been gaining popularity in all parts of the globe. Competitive online gaming has become as fascinating as real sports, and the technology is following it closely with new solutions and unusual implementations. Augmented reality turns eSports shows into interactive experiences allowing the watchers to become participants. The Lost in Time TV show in Norway, in addition to watching the contestants performing the challenges in the studio, offers the audience to do the same at home. Of course, for the viewers, the quest happens only within their smartphones, but the AR experience is quite realistic. Augmented reality can be used not only for virtual participation but also for game coverage, score display and many more. As both the eSports and AR/VR technologies are getting momentum, we can expect other interesting integrations. In this sector, augmented reality can serve not only entertainment purposes but also the purposes of accessibility. The possibility to overlay virtual objects over the real environment can be used, for example, for subtitling in various theater shows. Now, many theaters use LED displays either to provide subtitles for translation or to assist hearing-impaired visitors. However, LED equipment is not available in each theater and even when it is, it can distract the viewers from the show. This problem can be resolved by AR glasses that display the captions directly on the stage backdrop. The Britain’s National Theater is testing an AR app to provide assistance to hearing-impaired people. The solution projects the subtitles right over the play allowing the visitors to immerse themselves in the story without being distracted. Entertainment is one of the industries that will remain with us no matter what. It dates as far back as the prehistoric times and has been around for as long as the humankind exists. With time, it is getting increasingly sophisticated striving to impress, awe and overwhelm. As our tastes and preferences become more technology-savvy, the entertainment follows along inventing new ways of amusing us. 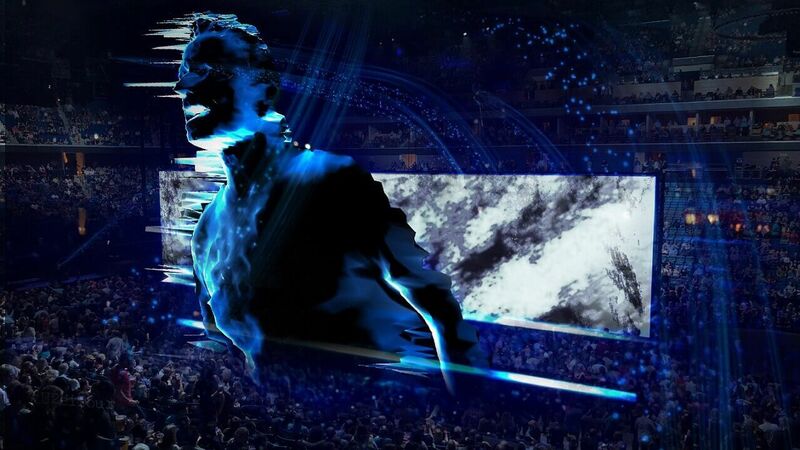 Game developers, movie companies, music and theater producers will not hesitate to implement cutting-edge technologies to create an unforgettable show attracting millions of visitors and viewers. However, in this area, the development quality is something that absolutely must not be compromised. When we are about to have a great time, we want it to be truly great, and any fault will be noticed and ruthlessly criticized. This brings us to the matter of augmented reality development. When you are planning an augmented reality app for entertainment, please make sure you have it developed professionally. Poor quality may kill not only the AR app but also your brand reputation, as in entertainment we do not agree with anything but the best. 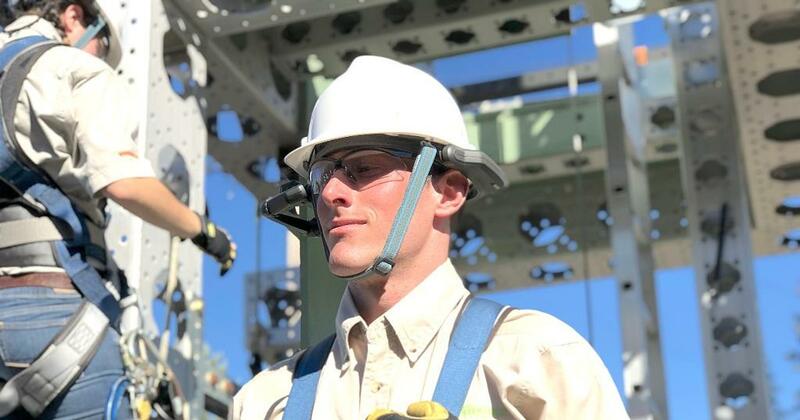 Contact us to discuss your augmented reality project, and we will be with you every step of the way – from consulting to planning, development, and launch. Browse our portfolio for the examples of AR products that we have created, and you will be sure that with Jasoren you will get top quality and perfect performance.